I thought I would give a little bit of an update on things. I am night and day better from where I was this time last week. I have settled into the idea that I will only be homeschooling Karis, and I’ve learned to be good with that. She does better at home, she is mostly independent, and she is fun to work with. There is no stress or anxiety involved in it. I’m looking forward to digging into things with her. And we have a good relationship and she’s now a pre-teener so this is good for us. I plan to really dive into stuff with her and learn along side her. And on the days that I don’t feel up to it, she is capable of doing everything on her own! I hope to do Poetry Teatime every Friday with the girls at the camp. It will be so fun. The boys are so excited about going back to school, and honestly they do really well in school. I’ve talked with their teachers from this past year (one emailed me and one I emailed first), and they are so happy that they will be back. They were so encouraging and positive. The boys will learn and grow at school. We will have a regular routine/schedule every day which will be good for my anxiety and good for my Ethan’s anxiety as well. He needs that routine. I plan to still do some nature studies with all of the kids. We will try to take a few “field trips” but not as many as when I would have had them home. And I am happy to be able to focus on getting healthier mentally and physically. As you know, I have mental illness, and I also went to rehab last fall for alcoholism (which is a mental illness as well). I need to be able to focus on keeping myself healthy and sober. In addition, I’m trying to get back to health physically (using the Balance 365 program) because I haven’t been doing too well there, either. So I guess this is just a season of health for me. Maybe once I’m healthier, I can bring my boys back home (if that’s God’s plan). It’ll probably be a while if that does happen. In the meantime I’m happy about playing with the kids until the boys’ school starts on August 23rd. We were going to start school next week. And I’m looking forward to doing some back-to-school shopping and all of that. Family camp this week has been pretty great so far. We have 2 more full days, then we leave on Saturday. I haven’t felt good the whole time, though, because of my cough and constant nausea. I’m also really tired all the time. So I’ve just been resting as much as I can. We have done 1-2 activities per day and played in the game room a lot. We have had great meals, fun themed nights, and I’ve enjoyed time with friends. We have been gone from home for a full week already, which is hard for me because I’m a homebody and an introvert. I’m making it, though, and am trying to just enjoy the time that I have with my family all together! It is a blessing to have this opportunity. I actually did the Cross Bows! The kids love the foam pit, but not as much as last year. Patriotic night ended up being indoors. Drift Ball ended in some minor injuries. The next two days are packed full of fun activities. Paint war, lake front, date night, hiking, more RC cars, kickball game, dessert, and a dance. Wow. This week has been hard and crazy and good all at once. It started out really rough. I went to counseling on Monday, thanks to my neighbor watching my kids. The meeting with her went really well, but my breathing/anxiety was really bad. The way home it got worse and worse and when I got home I couldn’t breathe at all and just had a really bad panic attack. And Robert worked late. And Levi screamed at me (this doesn’t happen… he was just really mad about something). Kids kept coming in and out even though I told them not to (my kids kept inviting them back in, haha). When Robert got home I just cried and cried. It got a little bit better after that, but I was still struggling. Tuesday I woke up still feeling really bad. I called my doc’s office and they told me to come in that very day. So, Karis and I made the long trek to San Antonio (2 hours one way) while Robert had the boys with him at work. My doctor didn’t really know what to do. 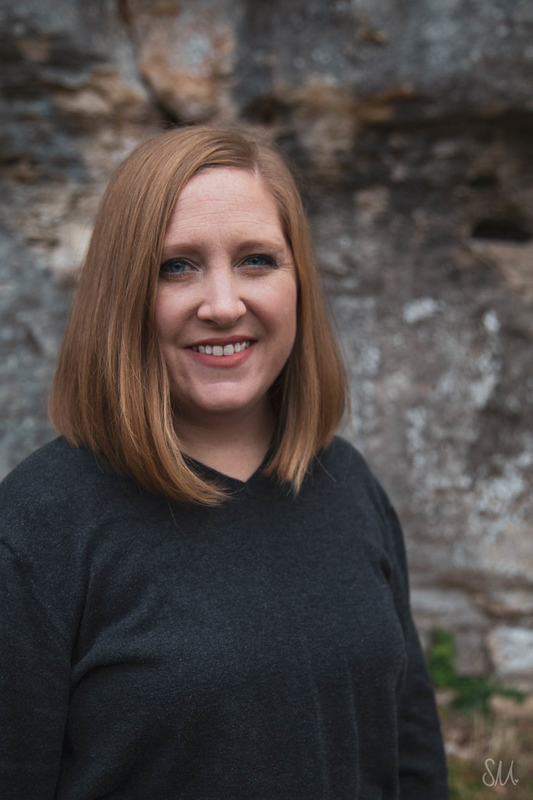 She had never heard of Hyperventilation Syndrome and when she did some research she said she didn’t want to officially diagnose it without further testing. But she told me that since I was about to go out of town we could try a few med adjustments and see if it helps. On the way there I came to some big conclusions. I realized that I had a feeling what was causing this. It all started about the time that I told the boys that I would be homeschooling them. 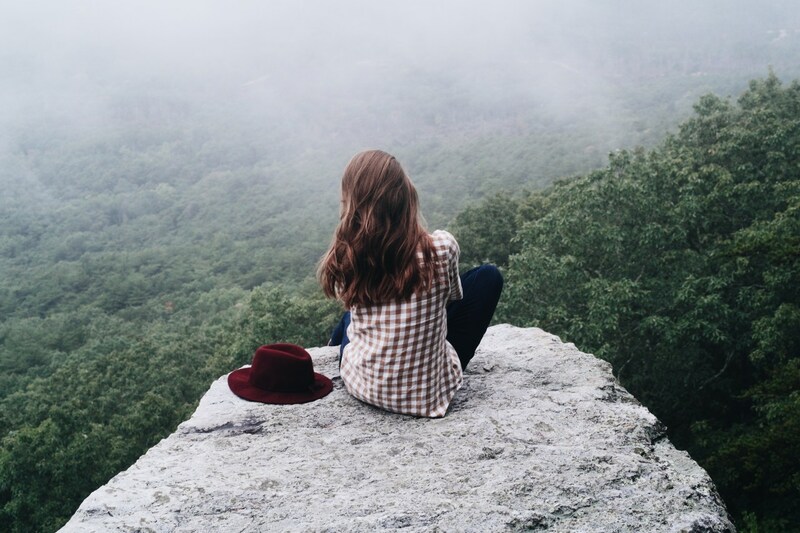 And I have been obsessing about it because I’ve been trying to find a way to do it without taking much time each day, but still covering everything we needed to cover. So yet again I was obsessing about curriculum and methods. And I literally just COULD NOT turn it off. No matter how hard I tried. Homeschooling was all I thought about and all I talked about. With family, friends, and even my counselor. And of course here on the blog. And on Facebook. I was constantly reading books, watching YouTube videos, reading blogs, following people on Instagram… the list goes on and on. I called Robert while in San Antonio, and talked to him about it. He was in agreement immediately. And the more I talked to him the more I realized how relieved he was that I came to that conclusion. He wanted to keep them in school all along. So, we decided to keep the boys in school. Maybe just this year, maybe longer. We’ll just take it a year at a time. Now. I will keep Karis home. She needs to be home. She has bad social anxiety and was crying every day at school. She ended up with a physical condition from it. She’s doing well at home, she’s mostly independent, and she is thriving. I also don’t want to put her in junior high in Rocksprings. It’s kind of rough. Unfortunately the breathing issue didn’t resolve right away. It got somewhat better, but not 100%. And yesterday it was actually pretty rough. Until. I told Robert that I really felt like we needed to tell the boys for me to get better (he wanted to wait). The anticipation was killing me. I’m not good at keeping secrets, so that was killing me. I needed to get it out. So yesterday while we were driving to New Mexico (we’re here visiting my in-laws, then for Family Camp starting Sunday), I told the boys. Levi was excited immediately. He had actually brought his class picture with him on vacation :-). He misses his friends. Ethan, on the other hand, was pretty upset at first (I expected that). He is nervous about testing (state testing starts in third grade). And honestly I’m nervous about that for him, too, because he struggles with reading and math. But the more he thought about it and talked about it, the more excited he got. Then I told him that it may just be this year, but we’ll see. He told me that he wants to go to fourth and fifth grade there. The testing gets more and more difficult in fourth and fifth grades so I’m not sure that I want that for him. We’ll just see how he does. I really don’t think that I will put them in junior high, but I don’t want to plan that far out because things NEVER go as planned anyway. Almost immediately after telling the boys (with-in a couple of hours), my anxiety got better and my breathing got better. I guess I just needed that closure. The only thing lingering is a dry cough. But as annoying as that is, I’ll take that over the anxiety breathing issue. If this cough gets under control I will truly have a week and a half that I can just enjoy with my family here at Glorieta. I am taking cough medicine and it helps some, but it’s still not great. I’m sooooo thankful that God made the issue so clear on that drive to my doc. I just wish I had figured it out sooner. Well. I think I knew, but I was stuffing it down, trying to ignore it. I wanted to homeschool the boys. And honestly I’m kind of sad, but since I feel better, it’s totally worth it! That was miserable! 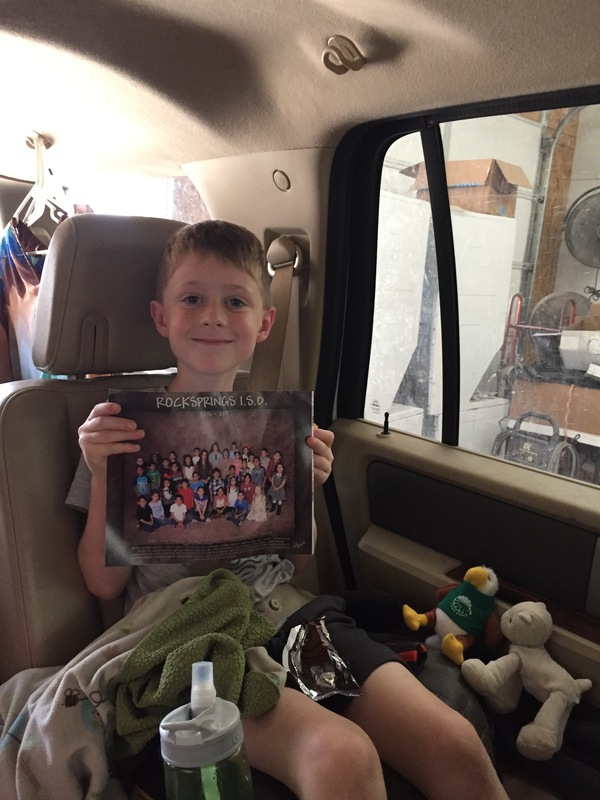 This is a picture of Levi holding his class picture from this past year. He was missing his friends so much that he wanted to “bring them along.” He was so proud :-). I’m happy for the kids… happy that the boys get to stay at school, happy that Karis will get to stay home and by herself. And I’m happy for me that I will get to focus on self care. I just don’t have it in me to homeschool all of the kids right now. Who knows if I ever will. But in the meantime I need to get more stable mentally. So that’s my goal! Oh. And I’m also happy that I will get to go to town once a week and bring Karis along (when Robert is working). AA and counseling will happen more often now :-). Which is part of my self care. 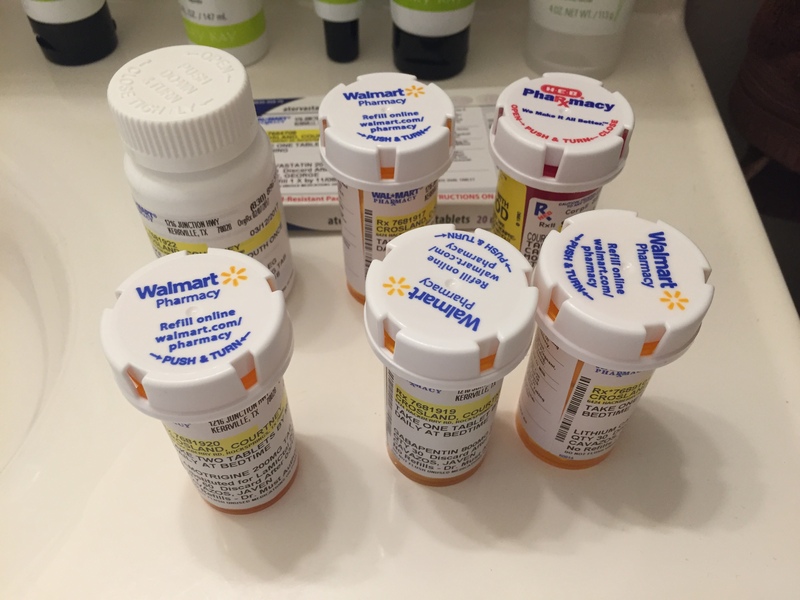 Like I’ve mentioned… I have been struggling with anxiety and depression lately. I’m not sure if I’m in a bipolar low or if something triggered it, but it’s been rough. Even last night it was really bad. I went to bed really early because I couldn’t function (actually, I slept on the couch because I just couldn’t get comfortable on my bed). But… this morning… this morning I woke up feeling good. And that’s all I can ask for. One moment at a time! Even as I type this I am sitting on my back porch, listening to the birds singing, with a beautiful view of the hills. It’s foggy and sunny at the same time. So pretty! The temperature is perfect. I’m in short sleeves. It’s in the 60s, but warm with the sun on me. 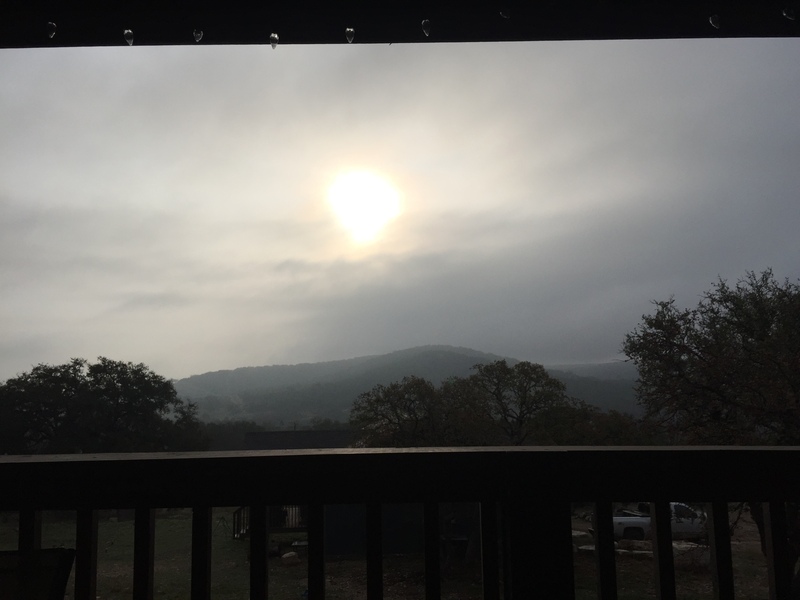 The smell of the dew makes me happy… all of these things bring back good memories of last spring when I started homeschooling the boys. 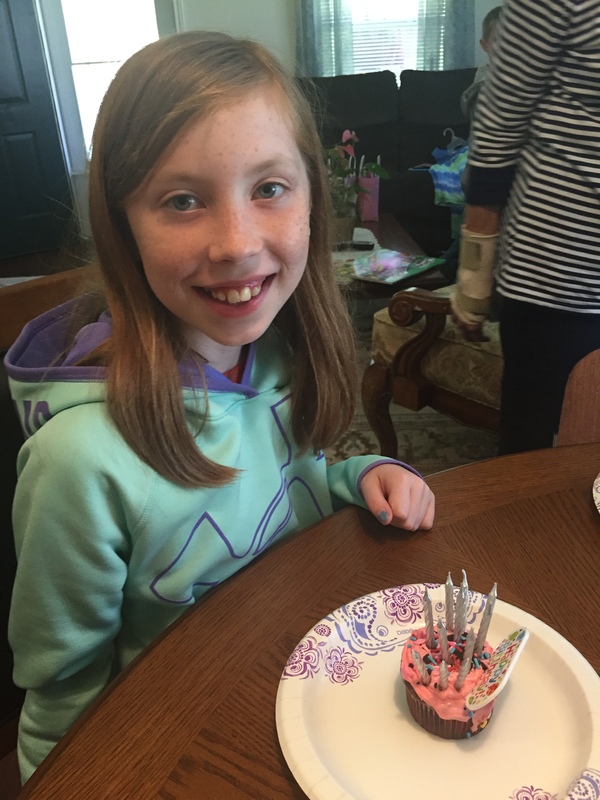 While I had a lot of anxiety about homeschooling them, I have good memories as well! I’m thankful for the time I had, and I might eventually be able to homeschool them again one day. We’ll just see what happens! I’m thankful for Jesus’ unconditional love. 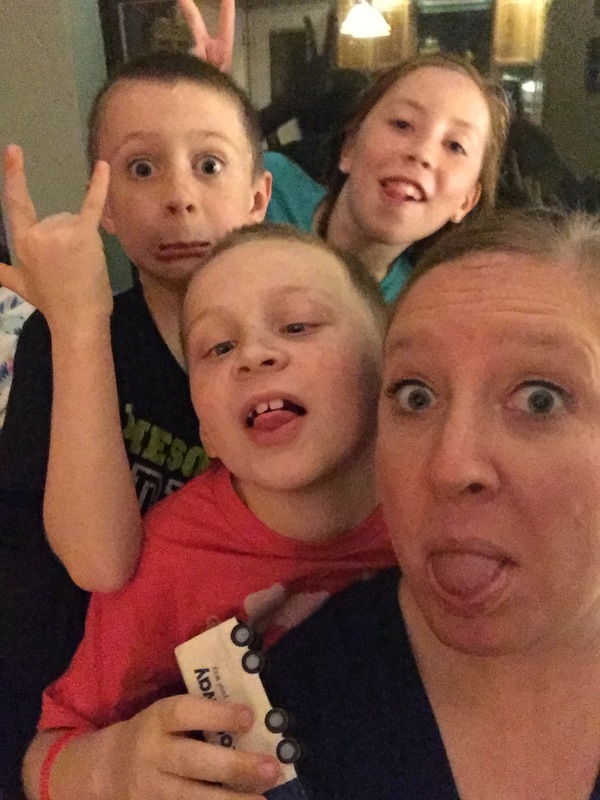 I’m thankful for bedtime reading and silly pictures with my kids. I’m thankful for the time I have with each kiddo in their bed at night (cuddling, talking, praying). I don’t do it every night, but enough. It’s my favorite time of day. I’m thankful for the time I have to take good care of myself. This is what keeps me afloat most days. 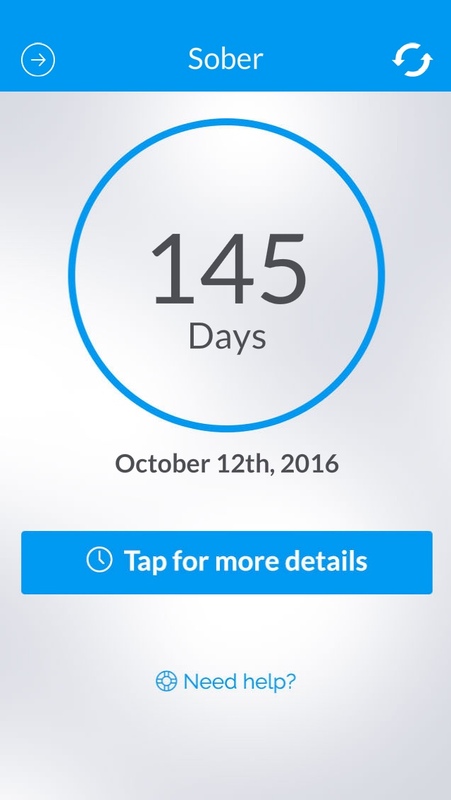 I’m grateful for 145 days sober! I’m so close to 5 months! I can hardly believe it. It has gone fast. While I still have days in which I want alcohol, it’s usually fleeting. I hope one day I won’t even want it anymore! One day at a time! I’m thankful for AA and learning so much through the Big Book. I’ll be writing about what I’m learning in a new post coming up! I’m grateful for my LuLaRoe leggings that help me to be comfortable. I’m thankful that I’m learning to feel more comfortable in my own skin, despite a 35 pound weight gain these past few years (10-12 of those just in a few months). This is also a one day at a time thing, though. Even last night I was struggling with body image. But most days I’m feeling better about my body. 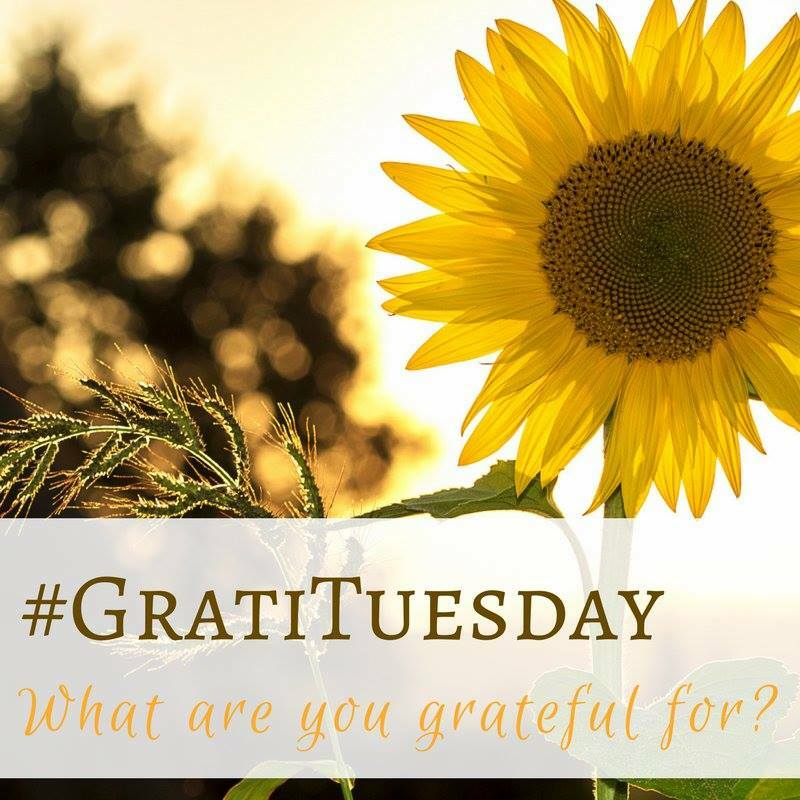 What are you grateful for on this Grati-Tuesday?